Especially when you’ve made it yourself! As much as I love to preserve and can, I always have a small moral crisis when deciding how to preserve fresh fruit. Not to say that I haven’t done it, but last weekend I sat there staring at 8 pounds of in-season strawberries and I couldn’t bring myself to cook ’em and sugar ’em to death. So instead, I whipped up two batches of raw freezer jam sweetened with raw honey that jelled so nicely you could almost hold the jar upside down without it falling out. I know, I know– I can hear the murmuring in the crowd right now. Ya’ll don’t think that’s possible, right? 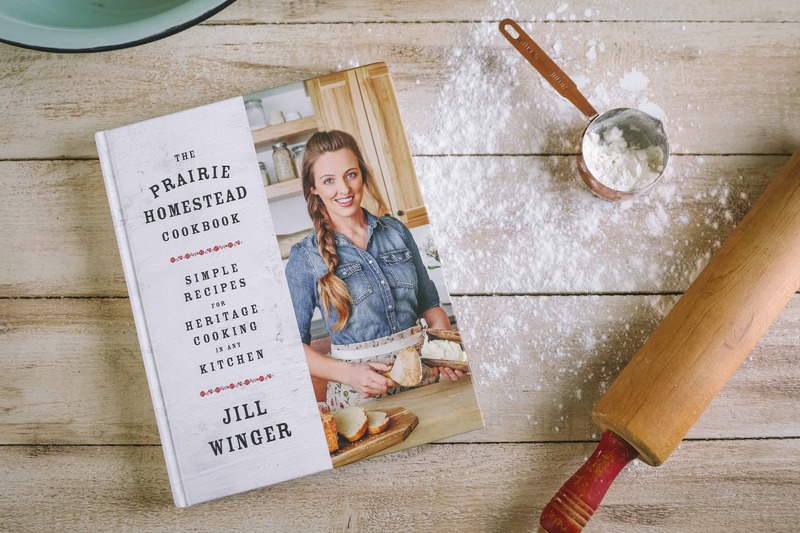 We’ve all been told that you HAVE to use lots of white sugar in order for jam or jelly to set. And then you have to cook it to finish the process. Well, when you have a box of this stuff– the rules change a little. 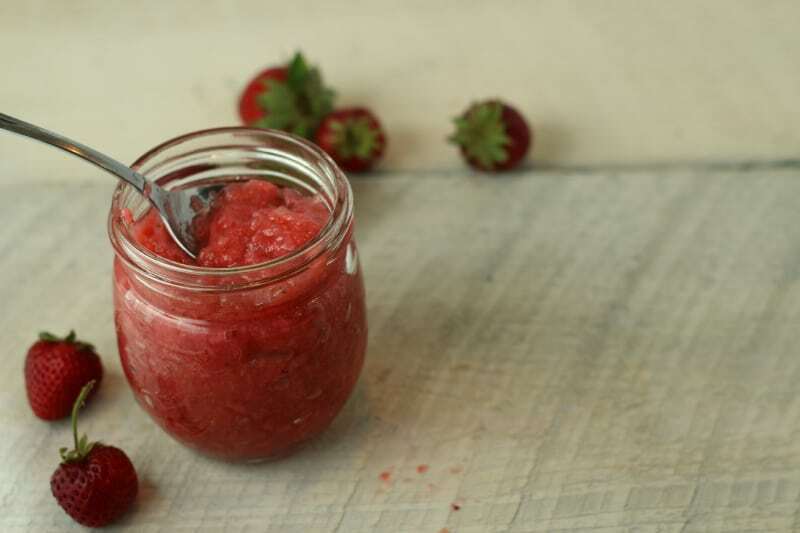 You can make cooked or un-cooked jam with it and use either honey or a minimal amount of sugar to do the sweetening. It comes with a little packet of calcium powder in addition to the pectin that enables you to have thick, set-up preserves, without a boatload of sugar. First off, mix the packet of calcium powder with 1/2 cup water. 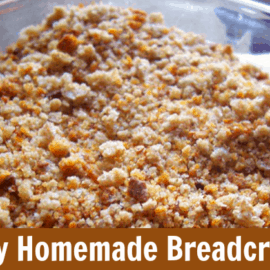 Store it in the fridge- it will last for several months and be good for more than one batch. Place your mashed berries in a large bowl and add lemon juice and honey. Stir well. It takes a bit of stirring to get the thick, raw honey to blend in with the berries, but it’ll happen eventually. Add the pectin/water mixture to the fruit, stir well. Then, add the calcium water and incorporate thoroughly. At this point, my jam was already very thick and wanted to jell up. If yours isn’t doing that yet, keep adding one teaspoon of calcium water at a time until it starts to set. Keep in mind that it will continue to set as it cools, too. Place in freezer safe containers, leaving 1/2 inch of headspace. Stick in the freezer right away, or keep it in the fridge for a week or so. 1. 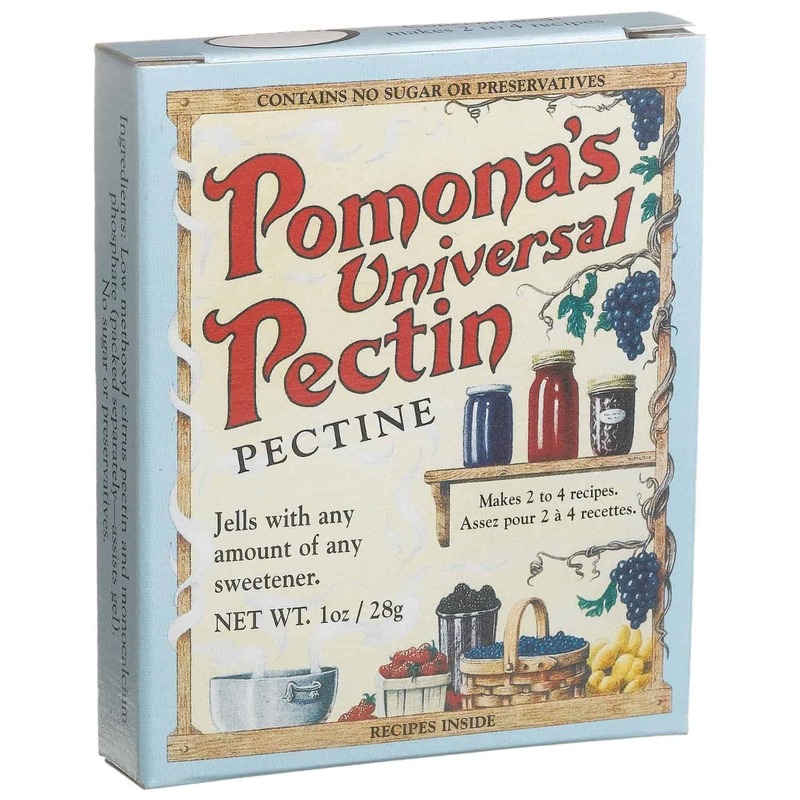 You can usually find Pomona’s Universal Pectin at your local health food store, or buy it online HERE. 2. Feel free to substitute other berries in this recipe, like raspberries, blueberries, or cherries. 3. My jam was not overwhelmingly sweet. If you like yours a little sweeter, then add more honey to taste. 4. If you have zero honey, or have an aversion to the stuff, you can use plain, ol’ white sugar in this recipe, too. Start with a 1/2 cup or so, and slowly increase to taste. 5. One batch yielded approximately 3 pints, but it’s easy to double. 7. One box of Pomona’s pectin will make 2-4 recipes. 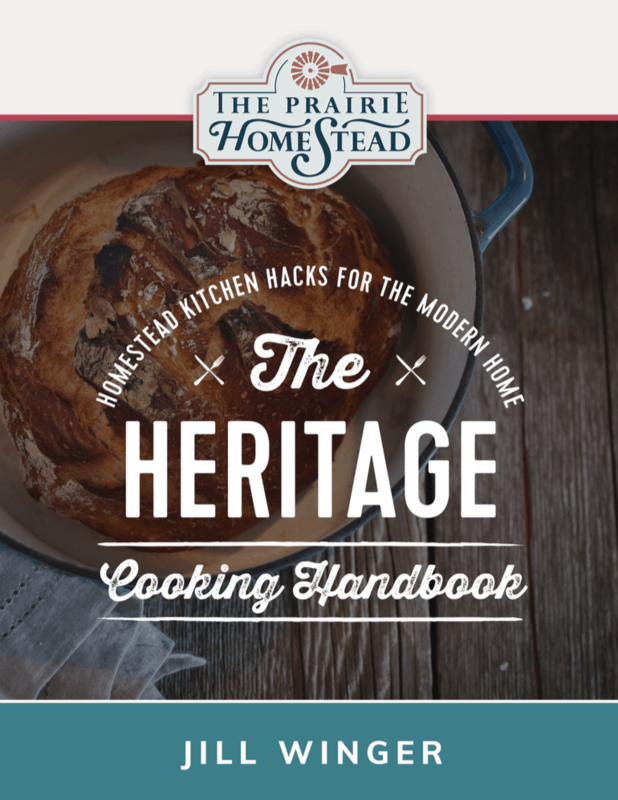 Interesting in more perserving recipes? We’ve gotcha covered! I have been using Pomosa for years to make my blueberry/maple preserves. They are cooked however. Ashley I just made 34 pints with ball feezer pectin and half the sugar it called for and it was the best jam I’ve ever had.. I love that stuff. I grew up with my family using sure jell, but ball is way better.. I can’t believe the good timing this has been for me. 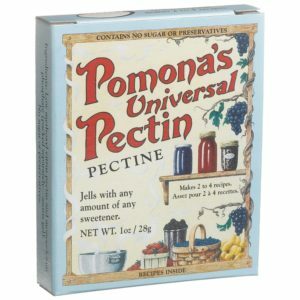 I bought Pomona pectin for the 1st time a week ago at the advice of a friend but have not used it yet. This looks like an excellent recipe and I cannot wait to try it. I even have the local honey to go with it, thank you so very much. Yay Cat! I love it when timing works out like that! Freezer jam is great, but I make cooked jam due to lack of freezer space. We raise grass fed organic beef and come butcher time, I need all the room in my freezer for beef. 🙂 I use the no or less sugar recipes. 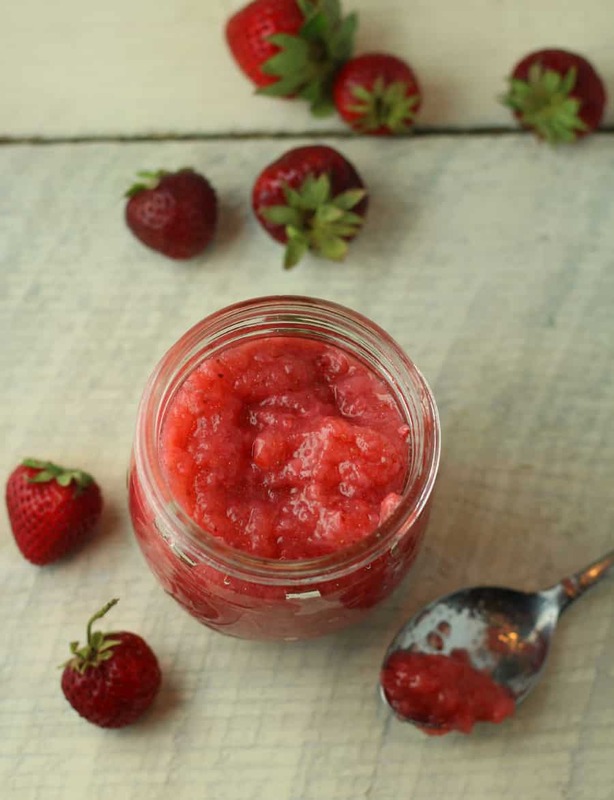 Strawberries don’t need much extra sweetener, but my I made strawberry rhubarb jam (Tutorial and recipe on my website) and did have to add sugar to that. I will check out this pectin though. I used the no sugar Ball pectin and it jelled great. Thank you SO much for this recipe! 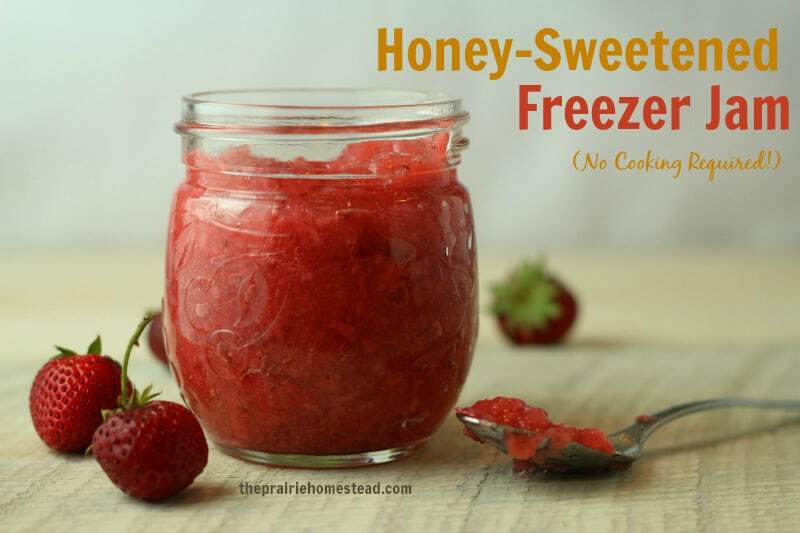 I have alot of food allergies, and really wanted to find a more wholesome way to use up the mass quantities of local strawberries we have here in Minnesota. The pick-your-own strawberry farms up here are an amazing deal, and I like to buy an entire years worth of berries and freeze them! Now I can have jam again…yay! Thank you for this recipe! I just picked a ton of organic strawberries at my in-laws farm and got my pamona’s pectin at the healthfood store. SO excited to try this recipe. Thank you for writing about your experience! What a great idea. I too hate all the cooking and sugar in jam making. It’s not really preserving season here (being the dead of winter! ), but I am going to see if I can find that kind of pectin in Australia, ready for summer. Any reason at all you couldn’t do it with other jams? I am not sure where to find this pectin with the calcium water here in Canada? Does anyone know of any other products that can be used? I LOVE pomona’s too! I actually recently wrote an entire post about why I prefer Pomona’s to homemade pectin. You are so right about cooking the jam to death; that’s what I like least about tradition pectin/no pectin recipes. Pomona’s is awesome. However, I almost exclusively use it with cooked jam recipes. Even so, you barely have to cook it for 5 minutes, so it’s still a pretty fresh jam. I love Pomona’s! Hello! 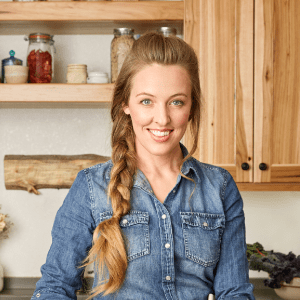 I was excited to find your website, and love that you are a committed Christian! 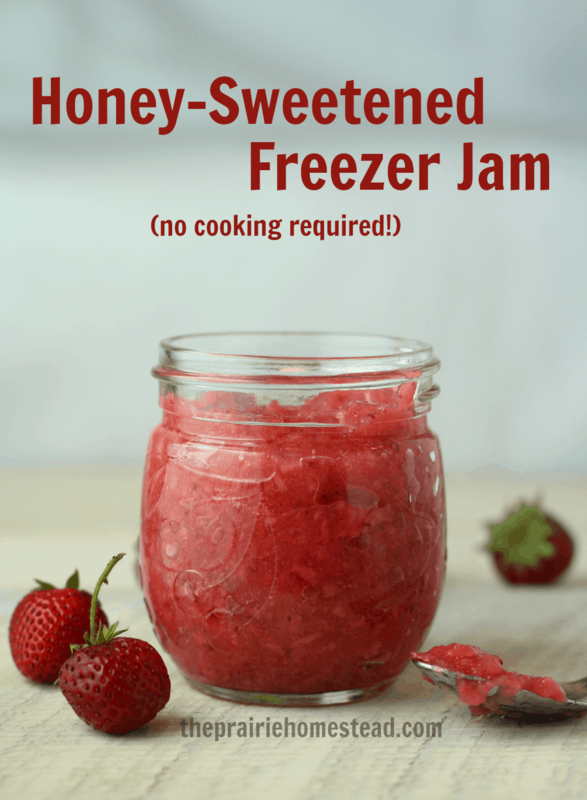 I used your recipe for the freezer jam with strawberries and honey and it was a huge hit!! We had a bit of a snag however with the last little bit in the jar, it went bad. I don’t think it was left on the counter for any length of time, any ideas why this happened? I am a little gun-shy now about putting any of the rest of it in the fridge to use, but it won’t be any good in the freezer! By the way, we saved our ketchup squeeze bottles and put the jam in there. It meant freezing plastic, but it also makes for a great delivery method of squeezing the jam right onto the sandwich! Hmmm… I’m scratching my head trying to figure out why it would have gone bad Alyssa… I currently have a jar of it in my fridge that is going on 2 weeks old and it’s still good. How did it go bad? Mold, smell, etc? Perhaps there was something in that particular jar before you put the jam in it that gave it a head start on turning icky? I tried this product for the first time last year and I really, really like it. I did’nt get the directions exactly right the first time, but after I got it right, it was great. I will definately be using it again this year. Hi, do I have to keep it frozen until I’m ready to use it or should I remove it and store it ? Yes, I’d keep it frozen until you are ready to use it, then defrost and keep in fridge. How long will the freezer jam last after it is defrosted and stored in the fridge? Mine usually lasts about a week– maybe a bit longer. I didn’t have pompano with calcium as an option today so I bought sure jell 100% natural. I followed the recipe and quantities you have listed but missing the calcium water. Is it still going to setup? I’ve never made jam before and I’m hoping I’m not ruining a quart of fresh picked strawberries. Ack! I also don’t want to use 4 chips of sugar, hence searching for a new recipe. But perhaps, I should have used the sure jell less or no sugar needed. Help! Hmmm… I haven’t used the Sure Jell natural, but I bet if you followed the directions, you’ll be ok. I just made this today. And I think i did something wrong. This is my first batch of jam EVER so I have no experience with pectin but my jam did not gel at all. I made a half-batch and am wondering if that messed me up somehow. I kept adding calcium water (at least 5 t.) and it just is not thick like jam. Just wondering if you had any thoughts for me. I was so excited to see this recipe b/c I have mass amounts of organic strawberries and local raw honey at my disposal right now! Hmmm… It’s hard to say since I wasn’t there, but I do know that sometimes jams made with low-sugar or no-sugar pectins sometimes just don’t work on occasion. I’ve heard my friends talk about this as well. I have had amazingly good success with Pomona’s, but every once and a while, things just don’t gel… However, the plus side is that you can still use your end result as syrup for pancakes, waffles, or ice cream, so don’t toss it! 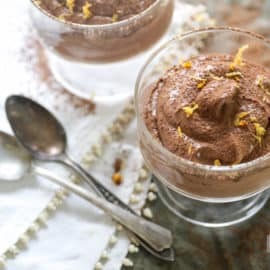 Just came across this recipe and am super excited to try it! My only question is, I am going to order the pectin today and am not sure how long it will tae to be delivered, so is it ok to freeze the berries first, then defrost and make the jam? I wasn’t sure about freezing them twice and if it would have any negative impact on te berries. Thanks so much! 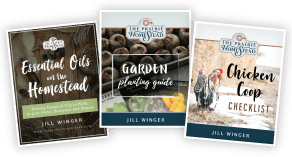 Hey Jill I just saw a recipe on Facebook that called for using chia seeds as your “pectin” but I don’t know if you can do that and then “can” it – I don’t have space for freezer/ frig jams but would love to make it and can it if you can use chia seeds as your pectin (I”m wondering now about flax as well) – have you heard of either of these and being able then to “can” it – water bath canning etc. I just tried the recipe. It appeared Gel but not to the point that I am able to turn the jar upside down. I put some in the fridge to see if it will not gel more as it cools/sets. My question is I used 1 cup honey. Do I need more pectin because I am used more then you did? 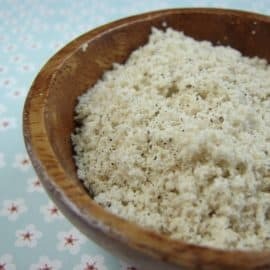 I use Pomona Pectin in my gluten-free all-purpose flour recipe. Love it! Will have to try this jam too! Margaret, what does the pomona pectin do for your flour? Can you make gf bread with it? Is this the missing ingredient to my gf bread making fails? What is the calcium powder you are referring to in step 1? Is it the Pectin? It is included with the Pomona’s pectin. 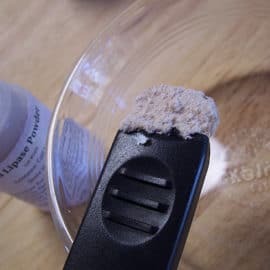 Could we use something like gelatin powder to replace the pectin? No, I’m afraid that wouldn’t work. I’d use close to 1:1 ratio if you try syrup– maybe a little bit less as it can be sweeter sometimes. Just taste as you go.